While you may be tempted to put your crochet hooks away during the warm, sultry days of summer when school is out in exchange for baseball games and driving or flying to vacation getaways, don't do so just yet! There is a lot of sitting time that just begs for a crochet project in your hands. Tahitian Nights Shawl is a colorful and easy project made with just one skein of yarn, making it a perfect take-along project, as well as the Cotton Bloom Table Runner and Shades of Blue Cowl. Knit-look Tunisian crochet mesh and breezy hairpin lace combine to create the Sea Spray Tunic. It is worked in four pieces, and each piece begins with a standard hairpin lace strip -- truly a one-of-a kind design that will always be in style. It seems ponchos are here to stay for a while at least! The Summer Poncho by Jenny King is made as one large rectangle and then folded in half lengthwise and joined at the shoulder using a Japanese Tunisianjoin technique. Starting with this issue, we will introduce you to charities that will benefit by your gift of crochet. As crocheters we have the potential to make a difference in the lives of others by donating beautiful one-of-a kind things! As a mother and grandmother, kids are very special to me. To begin this series, we introduce you to two charities that help kids who have been abused or have a terminal illness -- Binky Patrol and Project Linus. To read more about these charities and how you can get involved to help, check out the Caring & Sharing article on page 17. Then try your hand at the Puff Stitch Corner-to-Corner Blanket that is perfect for either charity! And for the home be sure to check out Learn It! Do It! and learn to create beautiful accessories by crocheting over rope! So, no matter how hot the weather, find a cool place to beat the heat and "Keep Calm and Crochet"! 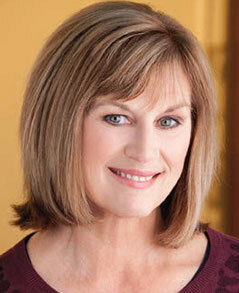 Connie Ellison is the executive crochet editor for Annie’s and the editor of Crochet! magazine. 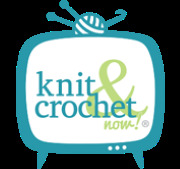 Connie is the crochet buyer for Annie’s Craft Catalog and website, and oversees the Annie’s crochet pattern books. Connie began her career with Annie’s in 1978. Crochet, reading and gardening are her passions, and she spends her summers canning and freezing vegetables grown on their farm. She lives in rural East Texas with her husband. They have 2 grown children and three grandchildren.